It sounds like Peyton Manning and Colts owner Jim Irsay have kissed and made up. The Colts franchise QB and owner have released a statement, insisting they are just fine after a week filled with complaints and comments suggesting a rift had developed. “We would like to dispel any misperception that there might be any hard feelings between us,” the two said Friday in a statement issued by the team. “Since 1998, we have enjoyed a great relationship, based upon mutual respect and trust. We have always been able to talk and address matters we’ve faced over the years, not just as owner and player, but as friends. 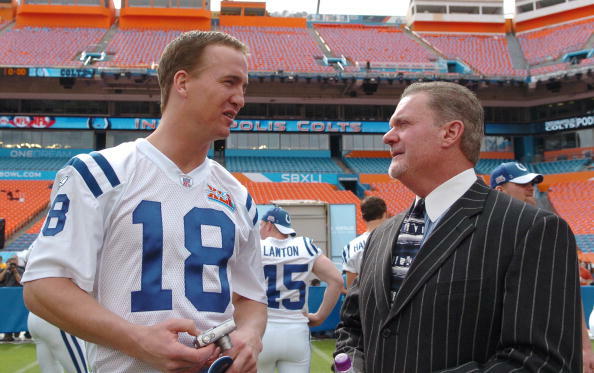 That would be welcome news to Colts fans, who first watched Manning publicly complain about the down-in-the-mouth atmosphere at team headquarters and then two days later saw Irsay call out his franchise quarterback at a news conference intended to focus on the new head coach. Just a few hours later, Manning told the newspaper that he didn’t intend to create a public spat. Instead, Manning said he was speaking from the heart after watching so many of his friends lose their jobs. Whether the two have mended their misunderstanding, there are still huge questions pending. 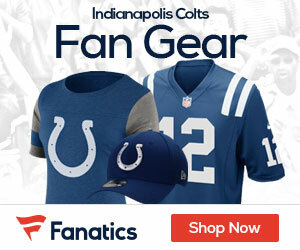 Irsay must decide by March 8 whether to pay Manning a $28 million bonus. Manning missed the entire 2011 season after having his third neck surgery in September. Irsay just this month has fired vice chairman Bill Polian, general manager Chris Polian, coach Jim Caldwell and most of the staff. Pagano, the Baltimore Ravens’ defensive coordinator this past season, is just getting started, as is Grigson. Indy’s poor season has given it the No. 1 overall pick, which Irsay has said they will use for their quarterback of the future, presumably Stanford’s Andrew Luck. If so, Irsay must decide if he wants to pay a No. 1 quarterback and Manning, who signed a five-year, $90 million contract in July and will be 36 in late March. Irsay has said his choice will come down to Manning’s health, not money.